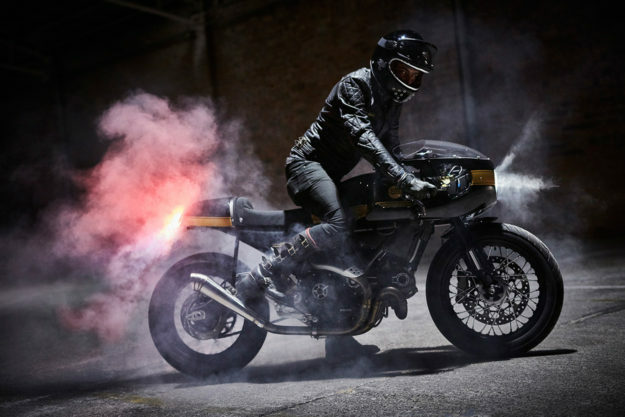 What happens when a Ducati Scrambler rolls into a workshop famous for building tough vintage dirt bikes? Karles Vives of Fuel Bespoke Motorcycles is the organizer of Scram Africa, a rough-and-ready tour through the deserts of Morocco—so we expected him to ramp up the Scrambler’s off-road cues. But he had another direction in mind when Ducati Spain knocked on his door. 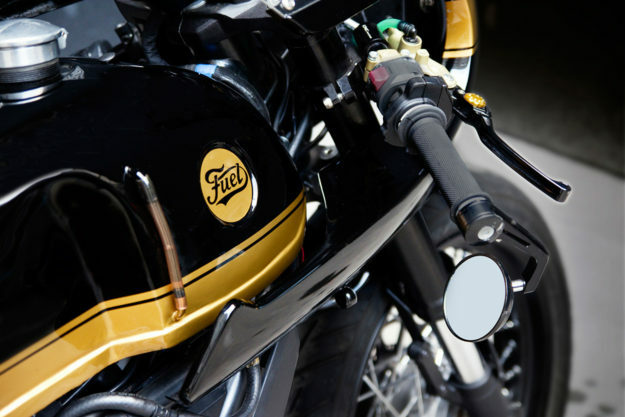 Fuel binned the stock bodywork to create a sportier, retro silhouette. The new looks are simply inspired, helped by a Benelli Mojave gas tank. Since the Scrambler’s a modern, fuel-injected machine, an external fuel pump had to be installed. Up front is a period-correct fairing, imported from Japan. 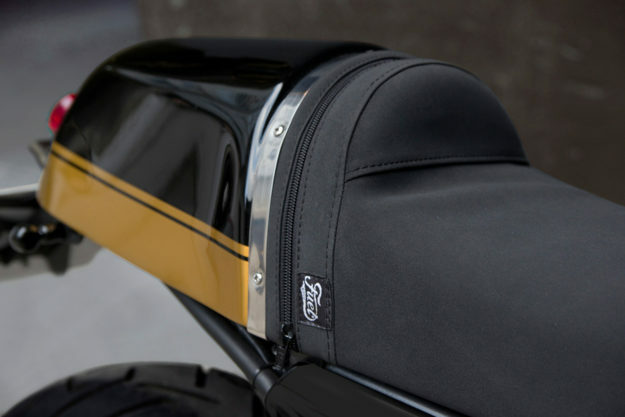 The tailpiece is a 900 SS replica, with a zip offering access to a small glove compartment. The new side covers are one-offs. 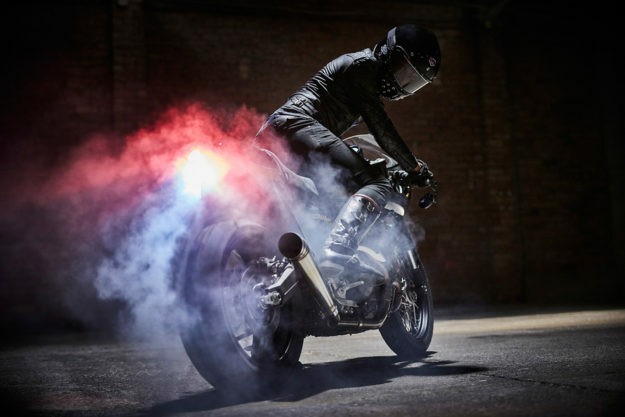 The guys fettled the Ducati’s stance and ergonomics too. 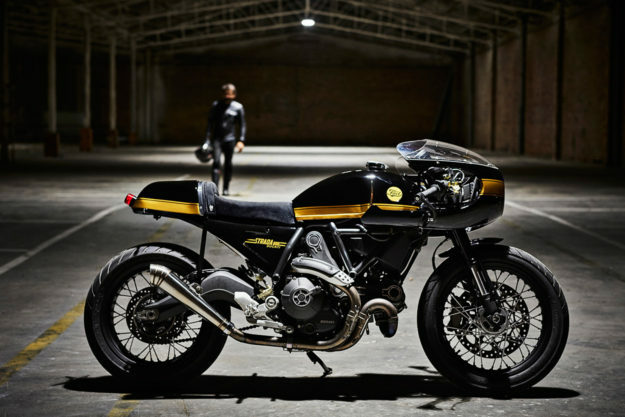 They shortened the front forks, and adapted Ducati Monster rearsets to fit the Scrambler frame. New Rizoma clip-ons complete the look, along with a new bracket that moves the speedo to dead center. Fuel were working on the Icon model here—which comes with cast wheels—so they tapped into the Ducati catalog for a set of spoked numbers. Other OEM aftermarket bits include the carbon fiber front fender, license plate bracket and adjustable levers. The exhaust can is a universal GP-style item, adapted to fit. And the tires are Pirelli Scorpion Trail IIs—which despite the name, have an aggressive tread best suited to sport touring. Compact bar-end mirrors and tiny LED turn signals round out the parts list. 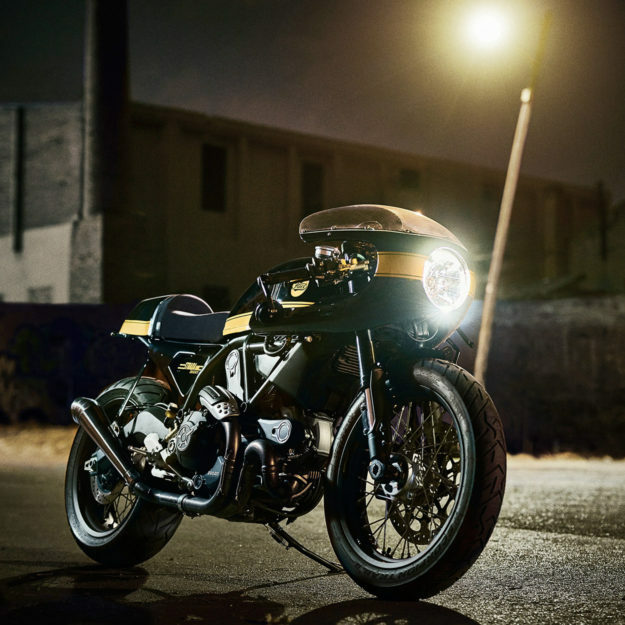 The Strada 800 needed a vintage livery to match its new look, so Fuel gave it a coat of black, adorned with tasteful gold striping—a dead ringer for the livery that Ducati introduced in 1979. 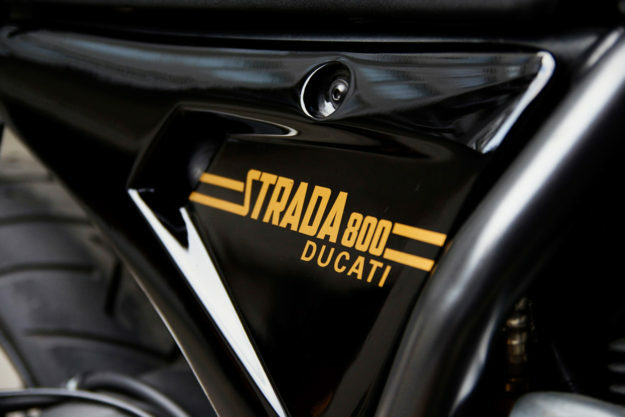 With modern performance and 70s style, Fuel’s Ducati is an intriguing Italian take on the ‘modern classic.’ If Ducati put a Strada 800 in the showrooms, our bank balances would be in serious jeopardy.